Sometimes, it’s just what I need to make me feel good. A few weeks ago Kelly and I hosted our nephews Will and Ben and niece Kate along with their mom, my sister Liz. The kids all had a great time. We ourselves had fun, too. And then a couple of weeks after that we got a card from Liz that included a card from Kate. Apparently she really liked her visit to the butterfly garden at the Museum of Science. 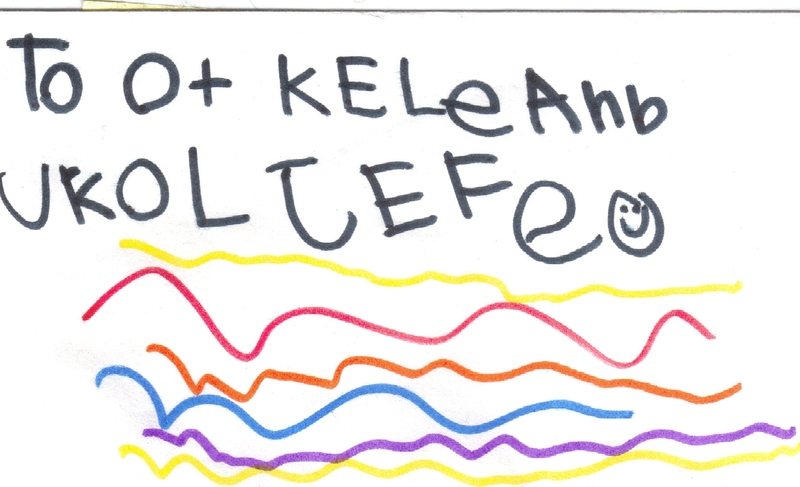 Her card was addressed like this, which is totally phonetic and totally adorable. “To Aunt Kelly and Uncle Geoff”. 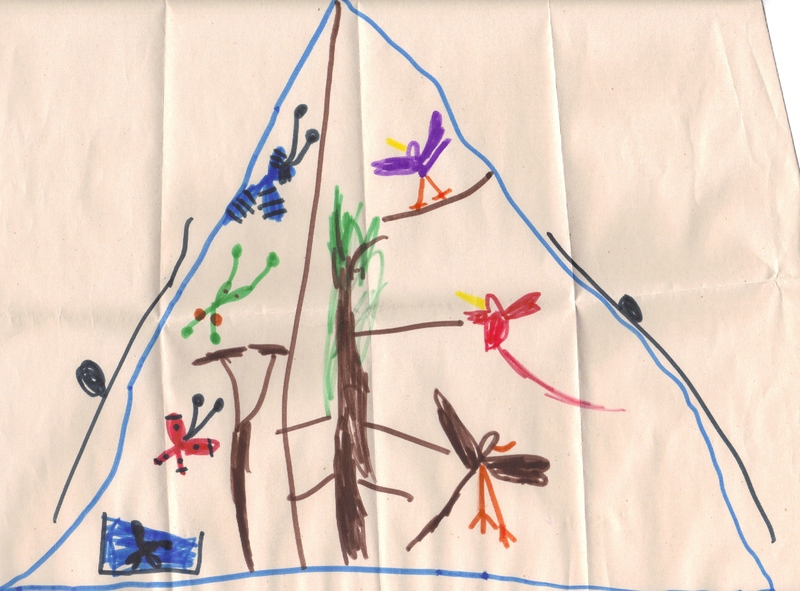 And inside was Kate’s depiction of the butterfly garden from the Museum of Science. Thanks, Kate. We love you too!